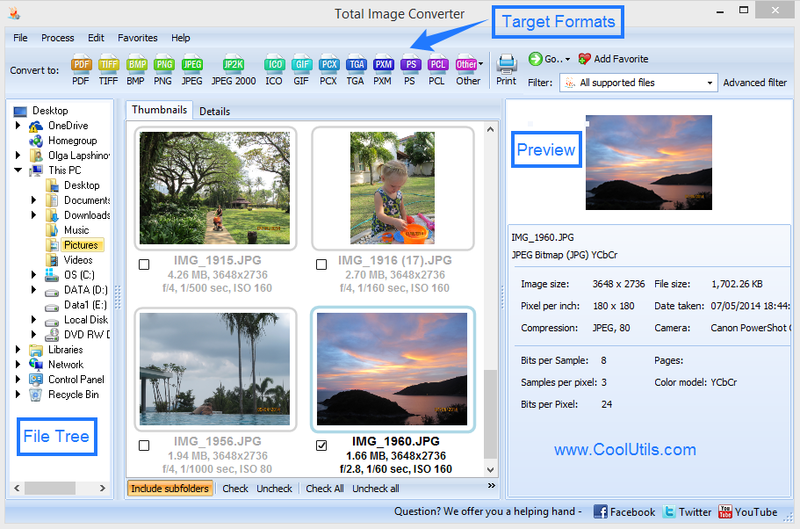 You are here: CoolUtils > Total Image Converter > Convert TIFF to PNG automatically. 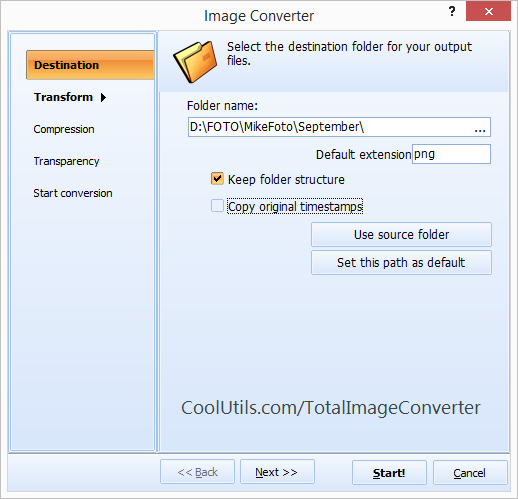 Working with Total Image Converter for the first time usually doesn’t cause any problems, as all stages of conversion logically follow one another. At first you will need to find the images you would like to process. Use integrated navigation pad that is located in the left side of the program window. When you convert TIFF to PNG in batch, check off all required files from the list. In thumbnail mode a few files are checked off by clicking on them with the left mouse button with Ctrl pressed. In the list mode just put the mark near each required source file or use ‘Check All’ feature, if all files from the folder need to be processed. 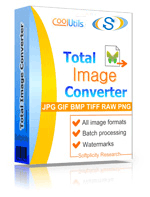 In order to enable batch image converter into TIFF-PNG mode, click on PNG button in Convert to: bar. A settings window will appear. Make all transformation, transparency and watermark settings you need and press Start! button to initiate conversion process. 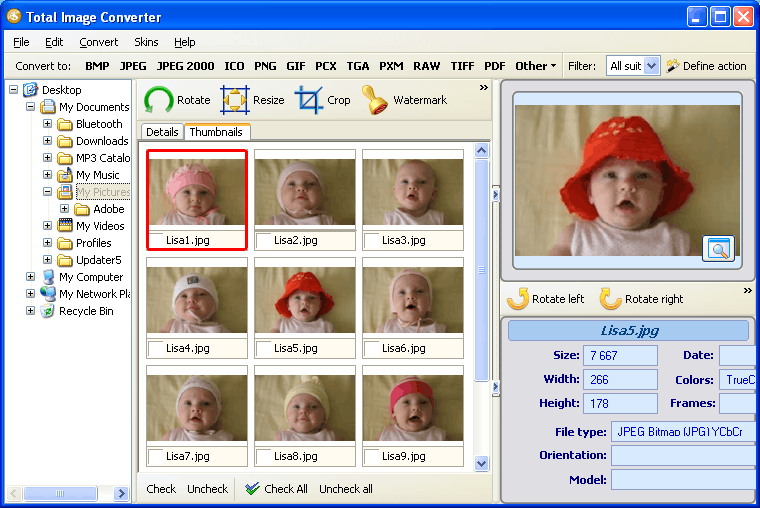 After it is finished, a folder with converted files will be automatically opened, so you will be able to check the results.